It’s about that time that the first wave of New Years resolutioners fall off the train when it comes to a new beginning of health and fitness. 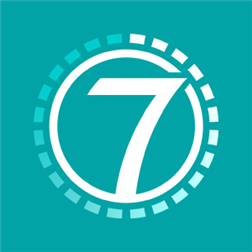 7 Minute Workout “Seven” is an excellent app to keep you on track. Based on a scientific studies to maximize your workout in the least amount of time, Seven presents a healthy and attainable challenge of working out just 7 minutes a day for 7 months. To keep you motivated Seven’s approach to fitness is not unlike your favorite video game. You are given 3 lives “hearts” per month, miss a day and you lose a heart. Miss 3 days and your progress is reset. This app is also packed with achievements to give a pat on the back for the duration of the challenge and beyond. Seven is a well executed fitness companion with automatic progress tracking as you complete a workout. With a variety of workout options to chose from one can go beyond the 7 minutes by completing additional circuits. These features are paired with numerous instructors to guide you through each workout. Chose from “Drill Sergeant”, “Cheerleader”. “Hippie”, or my personal favorite “Kung-Fu Master”. Instead of sitting down to watch a show, I airplay Seven on the TV and my daughters (5 and 3) join right in. 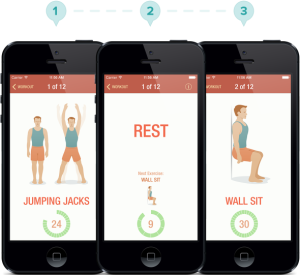 The simplicity of the exercises, requiring no additional equipment makes it a great app for all ages and fitness levels. Not only is this app a healthy lifestyle motivator personally, it is helping me lead by example and encourage a healthy lifestyle for my family. If there is one thing I would change about this app. I would remove the ability to purchase hearts or at the least have an * when the user posts their success to their favorite social network.